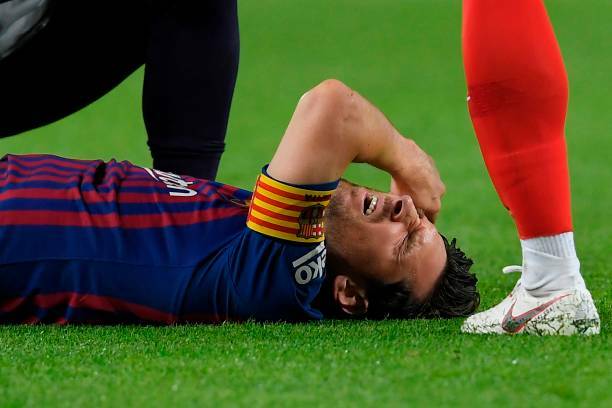 Barcelona star Lionel Messi left game against Sevilla in the first half because of a right arm injury. Messi was trying to collect the ball when he ran into the back of a defender, fell, and bent his right elbow badly. 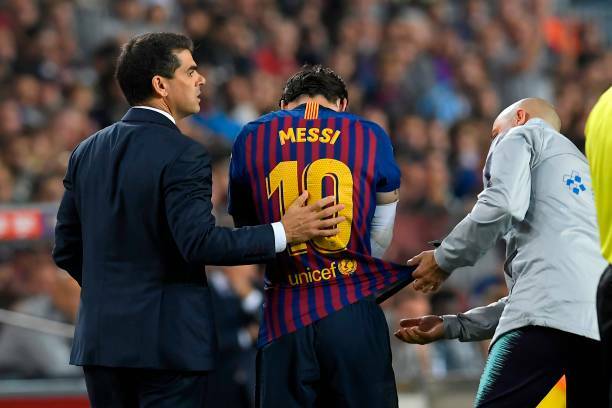 He was in visible pain and had to be treated by team doctors after the 17th minute injury at Camp Nou Stadium on Saturday. The doctors wrapped his elbow with bandages and the playmaker tried to continue, but he eventually left the pitch. Messi scored the Barca second goal with a shot from outside the area in the 12th minute. Barcelona next match is on Wednesday against Inter Milan in the Champions League, and then it hosts Real Madrid in the clasico next weekend.